The trace gas measurement is made by direct absorption laser spectroscopy using a robust fixed pathlength multipass optical cell and as a result the reported concentration of the target species and the overall performance of the instrument are not dependent on changes in the reflectivity of the mirrors as found with cavity techniques. Laser absorption spectroscopy is a high-resolution technique and the measurement do not suffer from cross-sensitivity to other species present in the gas sample and, therefore, significant pre-treatment or drying of the gas sample prior to analysis is not required. 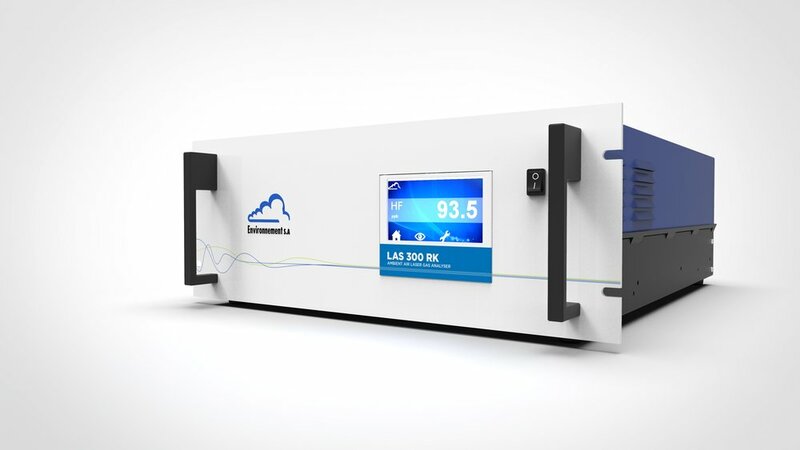 The LAS 300 RK is housed in a standard 4U 19’’ rack enclosure with a front mounted touch screen and has additional outputs (Modbus RTU, Ethernet and 4-20 mA as options). The LAS 300 RK is simple to install, operate, requires minimum maintenance and has low running costs.